After Tunisia the situation in Egypt unfolded with huge protests, rebellion and the eventual seizure of power by the military in mid-February 2011. A similar scenario had occurred in neighboring Tunisia. Obviously no revolutionary party or coalition of national democratic forces had the political capacity to seize power on behalf of the people in order to make a clean break with the United States and its imperialist allies. 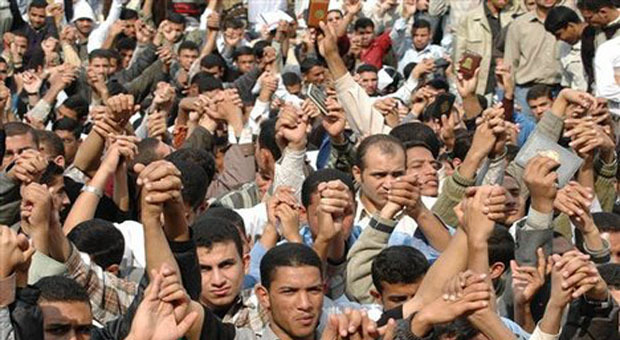 Events in Tunisia and Egypt prompted demonstrations in Algeria as well. However, in this North African state the color revolution did not escalate to the point of driving the National Liberation Front (FLN) from power. Of course the history of Algeria is quite different from both Tunisia and Egypt. The FLN fought a seven year guerrilla war against France. This war of independence distinguished Algeria from the historical trajectory of Egypt where the national democratic revolution was engineered by the Free Officer Movement of lower-ranking military figures such as Gamal Abdel Nasser. The seizure of power by Nasser and his comrades in 1952 and the consolidation of power by him in 1954 led directly to the nationalization of the Suez Canal and the subsequent invasion by Britain, France and Israel two years later. Nasser prevailed in 1956 in part due to the inter-imperialist rivalry between Washington, Paris and London. The administration of President Dwight D. Eisenhower opposed the European invasion of Egypt not because of its support for African independence. Instead the U.S. was seeking to consolidate its hegemony as the world’s uncontested imperialist center. Overtures to the emergent national liberation movements were part and parcel of a broader strategy of neo-colonial rule which is predominant in the 21st century. Tunisians in recent weeks have focused on the failure of the energy industry to provide benefits for nationals. In the south of the country where the unrest began in late 2010, there has been the blockading of extractive outlets which are aimed at closing down operations. However, security forces have arrested numerous people while others have been injured and at least one person killed. The lack of any fundamental socio-economic transformation in Tunisia was even pointed out in an article in Forbes Magazine. This is a journal of record for international finance capital and therefore its conclusions would not be the same as anti-imperialists and socialists. Undoubtedly the worst outcome of developments in 2011 was the counter-revolution in Libya which began in February. The suppression of the western-backed rebels by the Jamahiriya under Col. Muammar Gaddafi provided a rationale for the passage of two United Nations Security Council resolutions providing a pseudo-legal cover for the blanket bombing of this oil-rich state for seven months. Tens of thousands of people died in the aerial bombardments which destroyed basic infrastructure and provided cover for the rebels to seize control of key cities including the capital of Tripoli by August. The brutal assassination of Gaddafi in Sirte was actually ordered by then Secretary of State Hillary Clinton under the administration of former President Barack Obama. Today Libya is a source of instability, terrorism, human trafficking, corruption and neo-colonial intrigue. Numerous attempts to impose a compliant regime that could win the support of the disparate rebel groups whom were installed by the Pentagon, the Central Intelligence Agency (CIA) and NATO has failed miserably. Only a revolutionary anti-imperialist approach to the crises in Libya, Egypt and Tunisia could provide real hope for stability and reconstruction. Efforts which have taken place in Southern Africa provide a glimpse of possibilities for other regions of the continent. A radical land redistribution program in Zimbabwe in 2000 drew the wrath of the former colonizers in Britain and their allies in Washington and Brussels. Sanctions imposed on this sovereign state in defense of settler colonial economic relations further exposed the actual foreign policy of the U.S., Britain, the European Union (EU) and its partners in Southern Africa. The ruling Zimbabwe African National Union Patriotic Front Party (ZANU-PF) has held steadfast in defending its independence. Zimbabwe President Robert Mugabe during his tenure as chairperson of the AU and the regional Southern African Development Community (SADC) put forward a Pan-African program urging heads-of-state and the popular forces to reverse the cycle of dependency upon the West through regional integration and an independent foreign policy based on African interests. Recently in the Republic of Namibia, which like Zimbabwe waged an armed and mass struggle for national liberation, the ruling Southwest Africa People’s Organization (SWAPO) declared its support for the legal claims filed against Germany by the Herero and Nama people for the genocidal policies during the initial colonial period under Berlin between the 1880s and 1915 when the European state lost its colonies in Africa to other imperialist powers such as Britain and France. In the Republic of Angola, the continent’s second largest producer of petroleum, the ruling Popular Movement for the Liberation of Angola (MPLA), which also won its independence through the barrel of the gun and its consolidation through the assistance of internationalist forces from the Republic of Cuba, announced that long time President Jose Eduardo dos Santos was turning over control to a new leadership. Angola has been impacted negatively by the sharp decline in oil prices placing a brake on the rapid economic development inside the former Portuguese colony. At a SADC Summit held earlier this year, a proposal for a regional industrialization plan was approved by the body which represents 15 independent states in the region as well as the Democratic Republic of Congo (DRC) and Seychelles. Despite the inevitable obstacles to such an ambitious project it represents the future of Africa. In order for sustainable development to be realized the continent must turn inward in order to exert its latent power on the global stage. An Africa Liberation Day radio broadcast aired on May 24, 1964 by the then President Kwame Nkrumah of the First Republic of Ghana spelled out clearly the necessity for continental unity up to the point of the formation of an all-African Union Government. Nkrumah noted that Pan-Africanism and Socialism provide the only viable solutions to the post- colonial stagnation and continued underdevelopment. 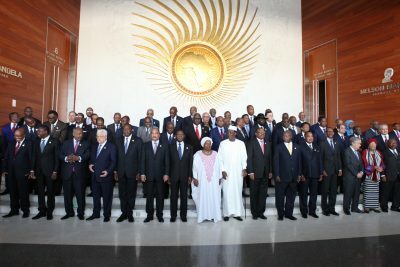 During this 54th anniversary of the Organization of African Unity and its successor the AU, the continental organization must review these important issues. The alternative represents more of the same being greater reliance on the imperialists which has resulted in a renewed burgeoning debt, greater penetration of Pentagon and CIA elements in the region and the further fragmentation of existing nation-states.